Charlie’s interest in the real estate industry began early in life, and by the time he was 14 he was framing houses and clearing roadways for residential developments. In 1982, he began his professional life in the field of Finance and achieved great success as a Financial Consultant and Supervisor of Operations at Merrill Lynch, Pierce, Fenner and Smith in Washington, D.C. After a while, Charlie was ready to try his hand in a new direction, and in 1988 he founded Turning Point Enterprises Inc., a real estate investment company. During that time, he also opened Turning Point Inn, a 140-seat restaurant and country inn with 40 employees, which won numerous national awards for excellence and was consistently voted in Washingtonian Magazine as one of the best restaurants in the Washington DC area. Although he attained success in business and as a Restaurateur, he returned to real estate in 2002 and never looked back. He came to realize that developing complex commercial sites along with buying and selling real estate investments was his true passion, including the restoration and reuse of historic structures. 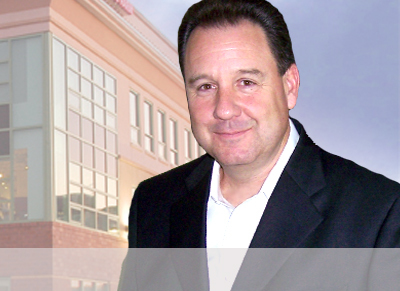 In 2005, Charlie founded Turning Point Commercial Real Estate, which began with the restoration of the Turning Point Inn and the successful development of the Turning Point Shopping Center. Two years later Turning Point Real Estate formed to provide the four-state and District of Columbia area with premier commercial and residential real estate services. Charlie earned a BA from the University of Maryland and currently holds five Brokers licenses in Maryland, Pennsylvania, Virginia, West Virginia, and the District of Columbia and is the President of Turning Point Real Estate. He serves on the South County Advisory Board for YMCA Frederick, the Board of Business and Industry for Frederick Memorial Hospital, was a Co-Founder of the Southern Frederick County Rotary, and served on the Board of Associates at Hood College and Sandy Spring Bank Advisory Board for Frederick. Charlie and his wife Susan, have three children, and reside in Frederick, Maryland.